Real Photo Postcard of the Solemint Store, 1946. 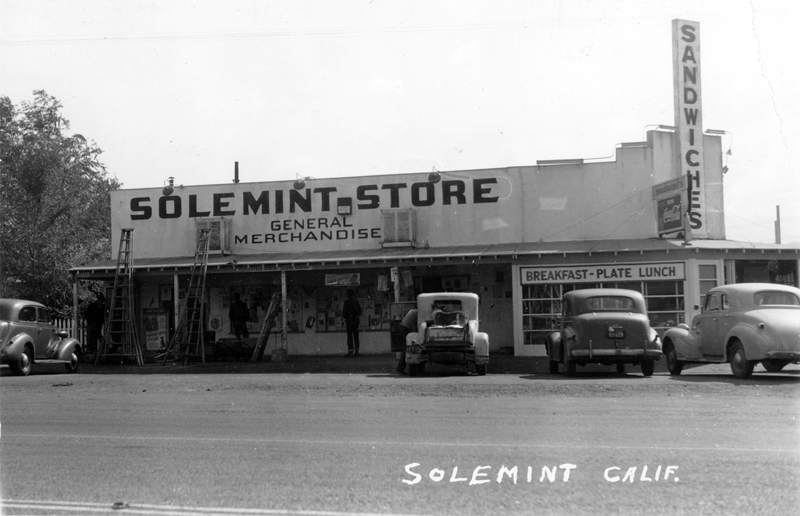 The Solemint Store was located at 21322 N. Sierra Highway, just south of Solemint Junction (the Sierra-Soledad intersection) in Soledad Canyon. The biggest clue to the date is the movie poster, visible behind the fruit/orchard ladders at left. It's advertising "It Shouldn't Happen to a Dog" (Twentieth Century Fox, 1946), starring Carole Landis, Allyn Joslyn, Margo Woode and Harry Morgan.